This adorable quilt set is perfect for dress up your little one's cot. 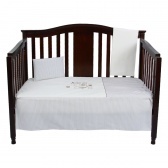 It features a flat sheet, a bedspread and a pillow with cute teddy bear embroidery. 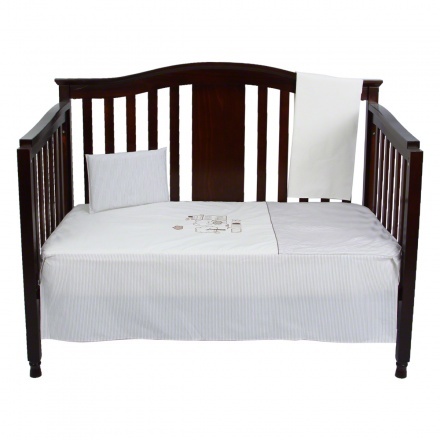 Made from a poly cotton blend, this one ensures a relaxed and comfortable sleep for your baby.